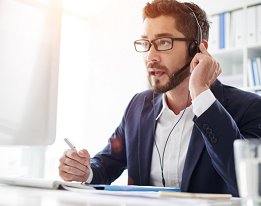 With growing complexity in information technology and ever evolving technologies and solutions, the demand for stabilized support is a crucial aspect. Enterprises face immense challenge in delivering such services effectively. 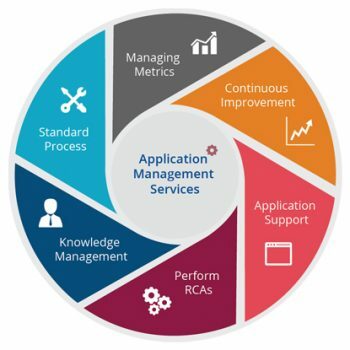 Achieving a breakthrough in service performance with the increasing service-level demands and IT budget restraints is critical for which AMS Application Management Services place an important role. UKB IT Solutions offers AMS Application Management Services and SAP support to help businesses to accelerate in their focused domain without IT worries. In today’s technological world of applications, businesses need more than traditional services and be focused on their core functions. Thus IT leaders need to deploy new technologies and outsource related services as per market demand. While keeping IT costs under check they also have to manage their applications portfolio by maintaining essential apps to keep the business operations running without interruptions. For this they need consistent, proactive services and support which continuously innovate and improve over time. With the increasing industry competition and implementation costs, Application Management Services (AMS) plays an important role for SAP success. It is important to take the steps to optimize SAP investments, deliver value, reduce Total Cost of Ownership (TCO) and improve end user satisfaction. This concept is further enhanced by Shared Service Centre (SSC) concept where UKB IT Solution’s AI ticketing based SAP Application Management Service (AMS), you can reduce the cost of managing your SAP system landscape and free up resources for improved flexibility and performance. Our Application Management Services brings you a flexible, custom-tailored solutions to service SAP from global service catalog, supporting multi-site, multi-lingual and global operations across various time zones. Our Managed Services delivery approach based on the ITIL framework coupled with ASAP methodology, incorporates synergy between business processes (with our domain experts), technology (diversified multi-faceted talent) and infrastructure components (such as network, operating systems, database and middleware) leveraging expertise from our Various Centre of Excellence to deliver services which is beyond keeping the lights on and channelling across process improvements and innovations. SAP AMS and other AMS on a pay-as-you-go (“PayG”, “Payse” on the run”) basis. Here client tasks are ascertained based on cost, timelines, deliverable. A simple task based proposal is prepared/finalised and thus task based support is provided.